Gangtok means hill top and is fondly viewed as floating on clouds as it is located at an altitude of 5000 feet. This largest city in the state of Sikkim offers to tackle views of the Himalayan peaks. A walk in the clouds, and not very far from Delhi. A friend of mine invited me to join him and one another to visit on short notice a tent camping site near River Jamuna, beyond Mussoorie and Kempty falls. I was iffy about travelling outside Delhi, preferring rather not to go due to compelling work related issues. However, relentless persistence of my friend made me agree to join them and what a revelation it turned out to be! It was a late Saturday afternoon when we started from Delhi in a Maruti wagon R running on LPG. The route to be was via Dehradun, Mussoorie. 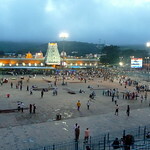 visit this hill temple town annually. Sikar is located in the Shekhawati region of Rajasthan, and is famous for its painted Havelis. Indeed Sikar is a historical town and consists of many Mughal era Havelis. In its heydays, it used to be a prosperous town. It is dominated by Jats. It is about 125 km from Nasik and is especially known for the various temples, predominantly Jain temples, with many of the idols therein carrying an inscription. This little plateau is a high powered spiritual zone. 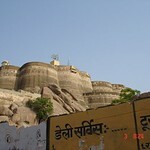 Belief is that both Ram and Hanuman attained liberation here. 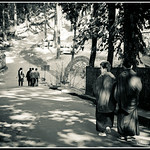 Apart from them, many others including 930 million monks achieved complete liberation here. Monsoon travel through Himachal Pradesh.